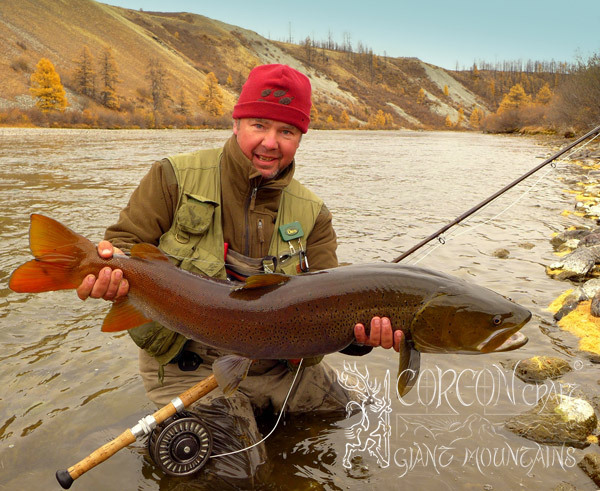 This year´s autumn season in Mongolia was marked by rather low and extremely clear and stable water conditions, by a clear blue sky, a long and mild "Indian Summer", and by only little snow fall in late October, - making the fishing just perfect for the flyman and the passionate Taimen angler. Motorboats loaded with western fishing clients, driven by native guides, appeared at our fishing camps and invaded our waters, where we are fishing for more than 20 years. 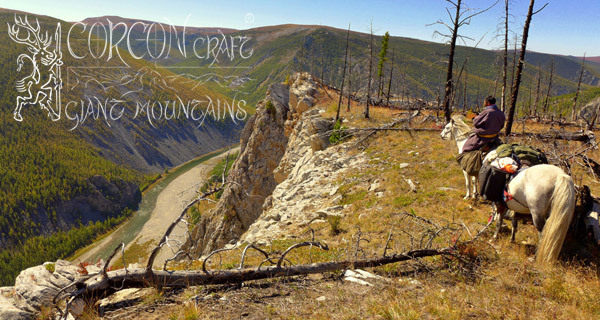 - Our traditional camps and lodges at the Selenge, the Tengis, the Delger, and even the wild Shishkid River, which have never been disturbed by the sound of an engine, echoed with the roar of motorboats up and down the river canyons for days and weeks. Over the years, again and again our waters have been invaded. 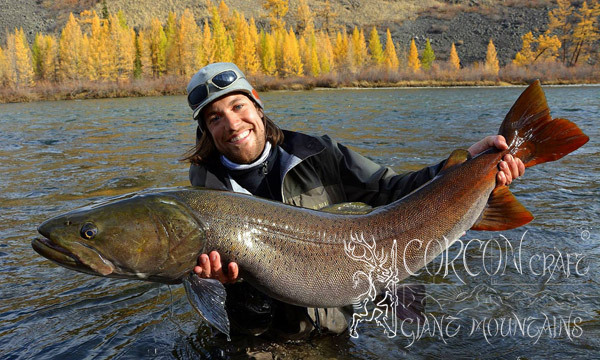 But we could always manage to keep this American way of fishing at bay, for any fishing from boats is strictly prohibited all over Mongolia, and no other organization can draw the very limited Taimen licenses and special permissions to enter Wildlife Refuges and National Parks, where we have built our camps and lodges a long time ago. But money DOES talk, and no official and no Mongolian authority inspection showed up this fall, nobody came to our aid and for the protection of the wild rivers, no one listened to our cry out for assistance ... - Within a few days, most of the mature Taimen were spooked and left those main stretches of the best Taimen rivers in the world. The engines and motorboats scared the hell out of the fish in precious Wildlife Refuges, which have never experienced such unknown terror before. 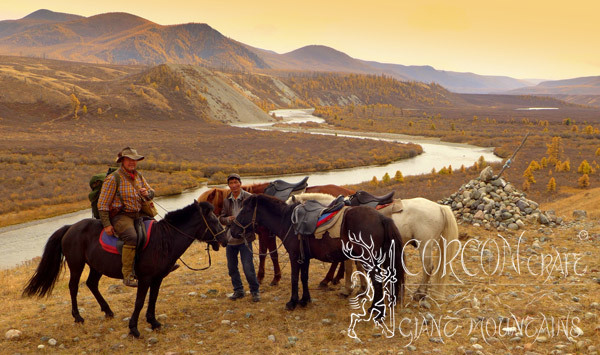 Mongolian native guides are known to be poor fishermen, they don´t know how to fish for Taimen in a sporting way. 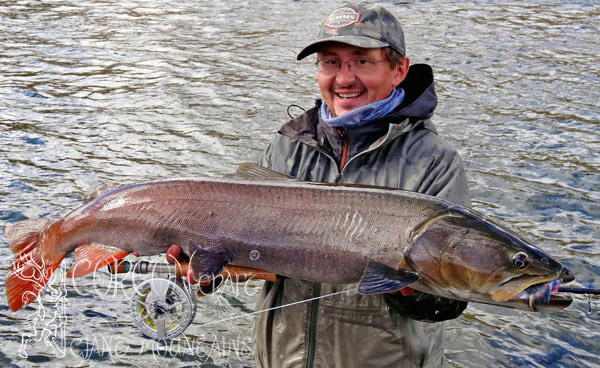 And the American style of salmon fishing may work well on the Kenai and on the Ponoi River, but it certainly does not work at all on a Mongolian Taimen River. - This comfortable, but silly and unproductive way of abusing wild rivers, forces the ignorant boatmen and their victims, western fishing clients, to invade and disturb new stretches of a Taimen river every day, in order to find the last corners which have not yet been completely spooked and abandoned. Confronted with this unfortunate situation and left alone, - we did the same what the Taimen does in times of calamity, and turned to those sanctuaries of the wild river, which can not be reached by any engine, boats, aircrafts, and 4-wheel-drives. 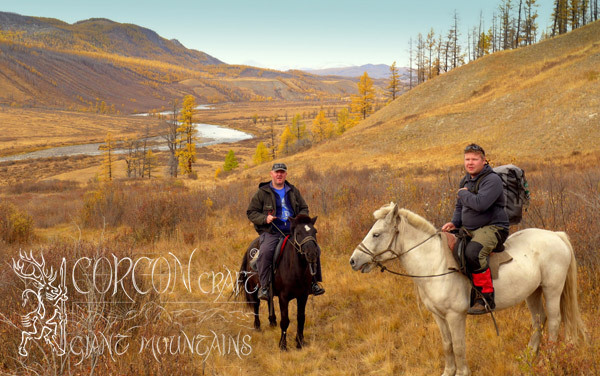 Taking our sportsmen clients to these secret places in the tranquility of the mountains, on long and hard horse-trails, we found the best Taimen fishing imaginable. 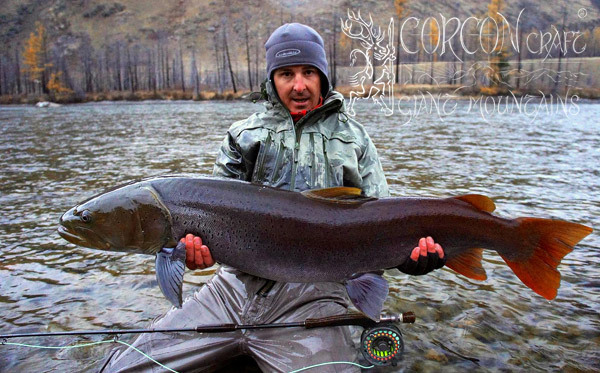 - Mere mountain streams and humble pools were crowded with big mature Taimen and very aggressive fish !